Some twin-systems might be prime targets for alien life. Andrew Masterson reports. The suns are rising: habitable zones around some binary systems may be larger than those around individual ones. 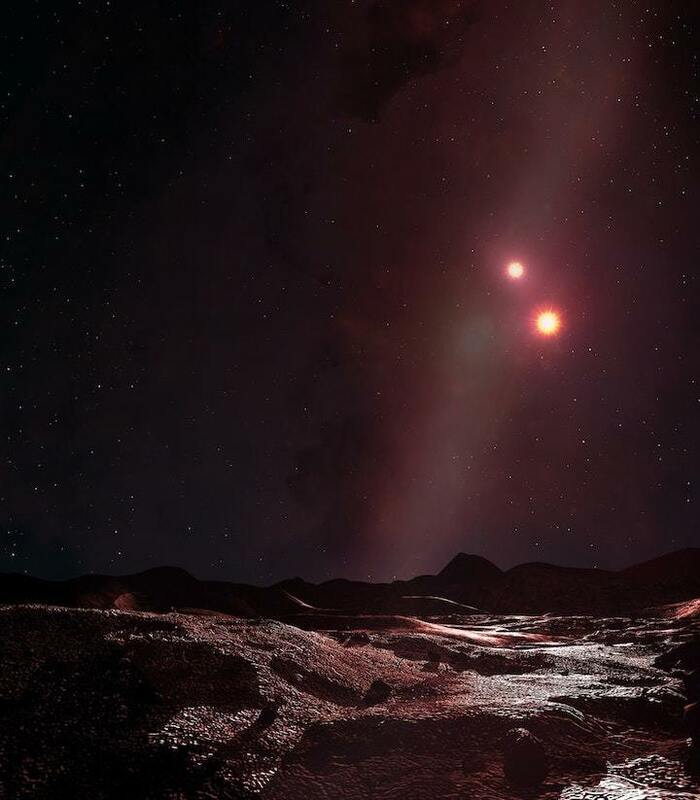 Compromised binary star systems could be prime targets in the search for extraterrestrial life, British astronomers say. In a paper published in the Monthly Notices of the Royal Astronomical Society, University of Sheffield researchers Bethany Wootton and Richard Parker show modelling that suggests that under certain circumstances paired stars could host planets in habitable zones larger than those surrounding individual stars. The habitable zone, sometimes known as the Goldilocks zone, is the area in which the temperature range permits permanent liquid water. Planets close to the star, the theory goes, will be too hot to harbour liquid, and those too far out will be frozen. Binary systems are common. In the Milky Way, for instance, they are estimated to comprise around one-third of the total number of stars. Some research points to the possibility that most stars – including the sun – begin as binary partners. Binary stars are locked in an aeons-long dance, but in many cases are situated so far apart that their individual spheres of influence – their heliospheres – do not overlap. The research by Wootton and Parker, however, posits an interloper. Binary star systems arise in “stellar nurseries”, massive galactic areas that contain large numbers of comparatively newly formed stars in (at least in astronomical terms) congested circumstances. In such conditions, titanic collisions are inevitable. The researchers modelled what happens when an individual star smacks into a binary partner. The result, they discovered, at least on some occasions, is the binary pair being shoved closer together, with the concurrent blending of their Goldilocks zones. Bigger habitable zones, logic states, have more chance of harbouring more planets, on at least one of which life may arise. “Our model suggests that there are more binary systems where planets sit in Goldilocks zones than we thought, increasing the prospects for life,” says Wootton. “So those worlds beloved of science fiction writers – where two suns shine in their skies above alien life - look a lot more likely now.